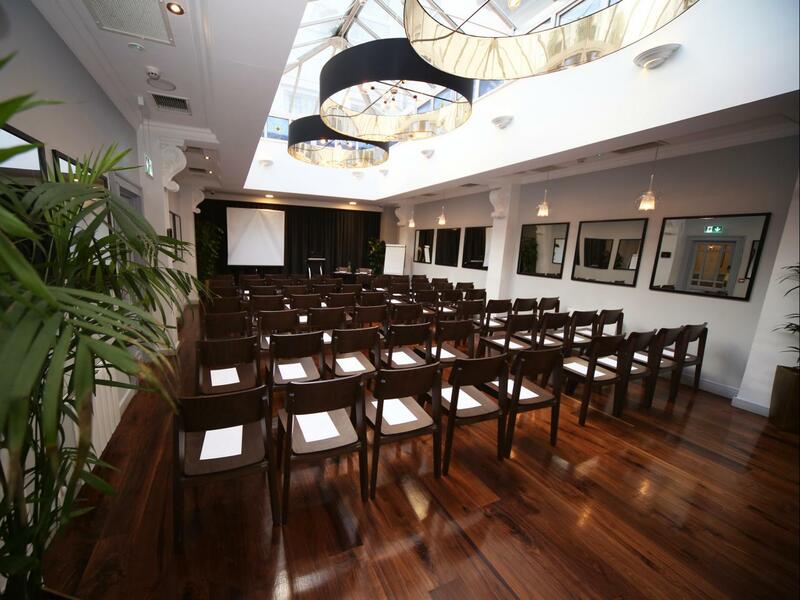 LOOKING FOR A CONFERENCE SPACE WITH A DIFFERENCE? Buskers On The Ball is Dublin's most unique conference space. Our expansive spaces can be utilised for breakout areas, brainstorming and team building activity options or simply a boardroom set up! Our many large LCD TV`s are ideal for any presentation and our variety of game tables mean that you can start of the day with some ping pong followed by shuffleboard at lunch and beat the 3pm slump with some pool...Who said conferences need to be all about work? We can cater for a variety of layout requirements. We can also cater for conference and meetings in Toast. Accomodating up to 120 people theatre style with amazing natural daylight throught our sky light!